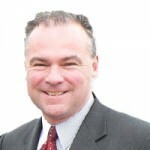 Tim Kaine and Shelley Moore Capito introduced a bill that would expose middle school students to CTE programs focused on career exploration. Dr. Bennet Omalu will present an endowed lecture at 7:30 p.m. Wednesday, Sept. 28, in Nininger Hall at Bridgewater College. U.S. 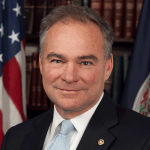 Senator Tim Kaine addressed the first class of 20 Career and Technical Education (CTE) Presidential Scholars. Today, U.S. Senators Tim Kaine (D-VA), Rob Portman (R-OH) and Tammy Baldwin (D-WI), Co-Chairs of the Senate Career and Technical Education (CTE) Caucus, along with U.S. Senator Shelley Moore Capito (R-WV), introduced the Creating Quality Technical Educators Act to expand the Higher Education Act’s teacher residency grant program to help schools recruit and train high-quality CTE teachers. U.S. 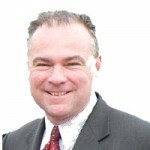 Senator Tim Kaine, co-chair of the Senate Career and Technical Education (CTE) Caucus, joined U.S. Senator Tammy Baldwin to introduce the Career & Technical Education (CTE) Opportunity Act to expand eligibility for federal student loans to short-term CTE programs which do not meet the current program length requirements under Title IV of the Higher Education Act. 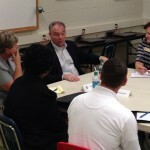 Those in the room were already in on the secret, but U.S. Sen. Tim Kaine seemed genuinely surprised when one of the local business leaders at an economic roundtable at the Valley Career and Technical Center in Fishersville on Tuesday blurted it out. Del. 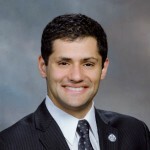 Sam Rasoul has chosen the Roanoke Technical Education Center (ROTEC) as the first recipient of a charitable donation in fulfillment of his campaign pledge to donate half of his General Assembly salary to local organizations.